The newest addition to our software family has been released! Inspirit, a beautiful app for designing mesmerizing mandala and kaleidoscope artworks is yours - start creating beautiful imaginary work of arts beyond your dreams! Once I was in a huge art gallery, I don’t remember where it was exactly, but it was full of original artworks, statues and fantastic machines. There were just a few people and it was possible to examine them. Many of these machines were pretty crazy. I specially remember one, it was hanging from the ceiling, kind of a mechanic shell with long arms. I put my right hand into the hole and started to rotate a lever. The whole machine began to turn, its arms were swinging around, creating beautiful symmetric trails in the air. I was thrilled, thinking how creative people are. If I had such ideas that would be awesome! I would love to create such gadgets too. I looked around and realized - all these ideas are in my head, they are my imagination! That’s fantastic, all of them are my creations inspired by… hmm… where are they coming from? This is how Inspirit was created. It is a realization of the imagination. It was materialized on the paper, later written into the computer code and now everyone is able to paint beautiful harmonic mandalas or crazy kaleidoscopes on their devices. Isn’t that awesome? 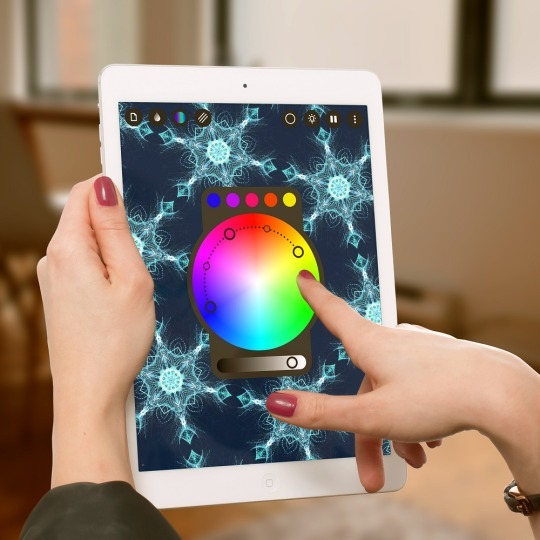 Inspirit is a delightfully easy to use relaxing painting app for creative souls of all ages. 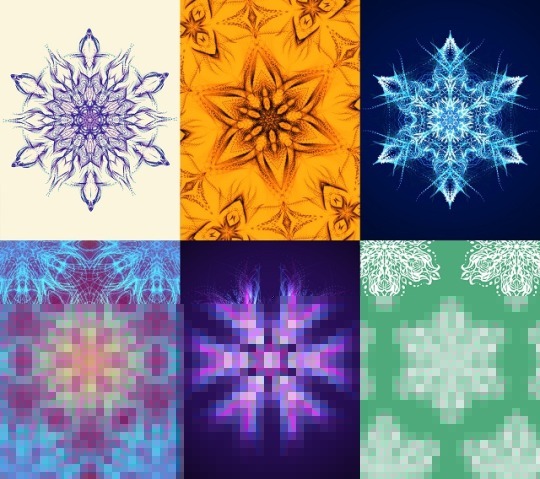 User can create mandala and kaleidoscope artworks and watch how they slowly evolve in time. The application beautifully combines art, spiritual and relaxing elements while serving as an endlessly regenerating well that allows everyone to unwind in the most artistic way. Inspirit is available worldwide from today through the App Store for iPhone and iPad in the Entertainment category for an introductory price of $0.99. Love your life and be creative!